Awesome teachers want to be teachers. Great teachers love teaching and sharing music as much as, or more than, performing music. Awesome teachers are good musicians. Some teachers are great musicians, some are concert artists with advanced degrees, some may not have University or Conservatory credentials but are seasoned working musicians with strong musical skills. Some teachers may be just starting out but are working toward developing their musicianship. Whatever the case, I believe strong skills are vital to being a great piano teacher. We serve as examples for our students; if we want them to take piano playing seriously, then we must take it seriously as well. Awesome teachers are forever learners. Workshops, classes, books and blogs great teachers are always looking to learn something new. Awesome teachers care for students and their families. They just care about people, period. Awesome teachers understand individual students’ personalities and learning styles. Some students need a very firm teacher, others need a softer approach. A great teacher gets to know each one and adjusts her teaching style accordingly. Awesome teachers teach students how to practice. 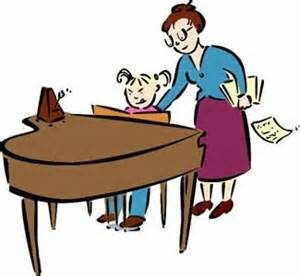 Great teachers give specific instruction on how to practice the music at home. This includes demonstrating practice techniques and making sure that the student understands exactly how the music is to be practiced as well as how much time is to be spent on each task assigned. Awesome teachers insist on practice and progress. Goal setting events such as recitals and exams are a great way to motivate students to practice and learn new repertoire. In addition, since music is inherently a performance art, I believe that playing for others should be part of every student’s piano education. Awesome teachers play well, are prepared for lessons, conduct themselves professionally and earn the respect of students and parents. You really need to have your materials organized, and you really need to know the music you are teaching. If you don’t, your students will know it, especially those teenagers! That is not to say that you can sightread every piece of advanced music that your student might ask to play, or know the answer to every question, but you should be able to learn those pieces or come up with those answers rather quickly. Awesome teachers are fun! Laugh, joke around, get to know the people in your studio. People, including kids, have enough stress in their lives. As far as I’m concerned, the piano lesson should be the highlight of the week for both the student and the teacher. The Platinum Membership Ends on Thursday night at Midnight EST. Don’t miss out! That reminds me to keep working hard to be an awesomely great teacher. Thanks for the inspiration.